On Wednesday, December 8th, 2010, the book club met at Kathy’s Place for supper, gift exchange and short meeting. We had a delicious turkey dinner with all the trimmings and delicious desserts. During supper we discussed the Kathy Reichs books that we read in December. Each member choose a different title by Kathy Reichs. I read Grave Secrets, and I enjoyed the book. This is the book series that the television show Bones is based on. But you will find the books quite different than the television series. This month we are reading whatever selection we would like, and in January we are each reading a different title from James Patterson‘s Alex Cross series. In 2010 we read a variety of books: The Pillars of the Earth by Ken Follett; The Bishop Man by Linden MacIntyre; 2nd Chance by James Patterson; World Without End by Ken Follett; Envy by Sandra Brown; Lonesome Dove by James McMurtry and a Kathy Reichs book. The Pangman book club meetings every 2nd Wednesday of the month at 7:00 p.m. at the Pangman Library. For more information, call Debra at 306-442-2055. 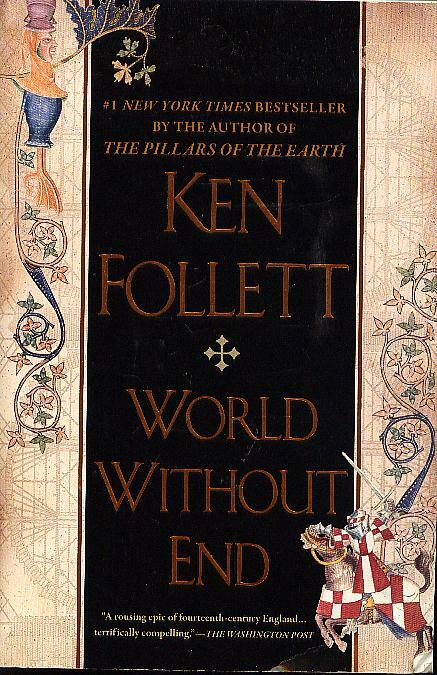 In May and June we read World Without End by Ken Follett. Everyone enjoyed this book. This story takes place in fourteenth century England in Kingsbridge. The story revolves around four children who witnessed a killing when they were in the forest. Follett tells the story of the four children to adult hood and their relationships with each other. Near the end of the book Follet reveals the secret that the man was killed for. If you enjoyed reading The Pillars of the Earth you will enjoy this book. During July and August we are each reading our own selections. Our next meeting is Wednesday, August 11, 2010 at 7:00 p.m. at the Library. The book club continues to meet at the Pangman Library on the 2nd Wednesday of the month at 7:00 p.m. In March our book selection was The Bishop Man by Linden MacIntyre, the 2009 Giller Prize winner. This book is about a sensitive topic, the sexual abuses perpetrated by the Catholic priests in Canada. It tells the story of Father Duncan who has been the Bishop’s dutiful enforcer whose duties were to check the excesses of priests and to suppress the evidence. When events veer out of control, he is sent to a small parish were he is forced into painful self-knowledge as family, community and friendship are torn apart under the strain of suspicion, obsession and guilt. Everyone enjoyed this selection. This book generated a great deal of discussion in the group about sexual abuse in the Catholic Church, about Father Duncan’s life as an enforcer and as a small parish Priest and how he worked through this difficult time in his life. In April we read 2nd Chance, the second book in James Patterson’s Women’s Murder Club Series. After a young girl is shot down on the steps of a San Francisco church Detective Lindsay Boxer decides that the time is right to reconvene the Women’s Murder Club. Also, Boxer’s father returns after many years and she is unsure of her feelings towards him. She and the Women’s Murder Club begin to believe that the killer might have been on the force. When their suspect is killed they find out that he could not have committed the murders due to a medical condition, so they have to convince the brass that the killer is still on the loose. In the end, everyone is shocked by who the killer actually was. Everyone generally enjoyed this book. We did all agree that it was a bit slow in the beginning, but it became more suspenseful later on. We were all surprised when we found out who the real killer was. In May and June we are reading World Without End by Ken Follett. We have allocated two months for this book as it is over 1,000 pages. If you love to read and would be interested in joining the book club feel free to come to our next meeting or call Debra at 442-2055 for more information. In February we continued to read the Pillars of the Earth by Ken Follett. We all enjoyed this selection. We all liked how the author introduced the different characters in the story and how their lives crossed throughout the story. The story takes place during medieval times (12th century) in England. There is quite a bit detail about the churches of that time. Much of the story revolves around the rebuilding of the church of Kingsbridge and all the obstacles they faced trying to rebuild their church, obstacles caused by those in power at the time. If you have not read this book, we highly recommend you read it. Later this year we will be reading another book by Ken Follett, World Without End. Our March book selection is The Bishop Man by Linden MacIntyre. We hope to see you at our next book club meeting on Wednesday, April 14, 2010, 7 p.m. at the Pangman Library. In April we will be reading 2nd Chance by James Patterson. We had our February book club meeting on Wednesday, February 10, 2010 at the Library. In January we started reading The Pillars of the Earth by Ken Follett. As this is a very large book, we have decided to read this book over two months (January and February). At our meeting everyone said they are enjoying the book. We all felt that the characters and story are very interesting. Our next meeting is on March 10, 2010, 7 p.m. at the Library. If you love to read and would like to read different type of books, come and join us at our Book Club meeting. We had our January book club meeting on Wednesday, January 13, 2010 at the Library. Our December selection was This Year It Will Be Different by Maeve Binchy. A collection of 15 Christmas tales about love and family snarls in the season of comfort and joy, set in England, Ireland, and Australia. We discussed this book a bit and the consensus was that it was not what we expected for Christmas stories and most of us did not enjoy this selection. If you would like to read other books by Maeve Binchy, you can find more books by her on www.amazon.ca. Our January book club selection is The Pillars of the Earth by Ken Follett. As this is a very large book, we will be reading the first half of this book in January and the second half in February. Our next meeting is on Wednesday, February 10th, 7:00 p.m. at the Library. Second Year for the Pangman Book Club!! This is our second year for the Book Club. We started the book club in November 2008 and the first book we read was Kitchen God’s Wife by Amy Tan. We had our Christmas Supper and book club meeting at Kathy’s Place on December 8th, 2009. For supper we had Turkey and all the trimmings plus delicious desserts. After we had supper, we discussed our November book club selection, Where the Heart is by Billie Letts. Everyone enjoyed this book and we all thought it was an easy read and a great story. This is the story of Novalee Nation, who at age 17, and 7 months pregnant was dropped off at the Wal-mart in Sequoyah, Oklahoma with only $7.77 in change, by her boyfriend, Willy Jack Pickens. Novalee meets 3 people her first day at the Wal-mart store, who later are there for her when she is in need and become her best friends. At the town library she meets the town librarian, Forney Hull, who introduces Novalee to the world of books and becomes a very important person in her and her child’s live. After our meeting we exchanged gifts. In December we will be reading This Year Will be Different by Maeve Binchy. At our Novemer 11th book club meeting we discussed our October selection, 1st to Die by James Patterson. This is the 1st book in James Patterson’s Women’s Murder Club Series. A serial killer is stalking and murdering newlyweds on their honeymoon and San Francisco Homicide inspector Lindsay Boxer takes the case. While on the case Lindsay Boxer meets three other women–a lawyer, a reporter, and the city medical examiner. These women join forces to solve this gruesome crime and the Women’s Murder Club is born. This book kept me in suspense until the very end, and I was very surprised at who the serial killer was. The ladies enjoyed this book and next year we will be reading the 2nd book in this series. In November our book club selection is Where the Heart Is by Billie Letts. Our November meeting will be on Tuesday, December 8th at Kathy’s Place. We will be having our Christmas supper at 6 p.m. with the meeting to follow. 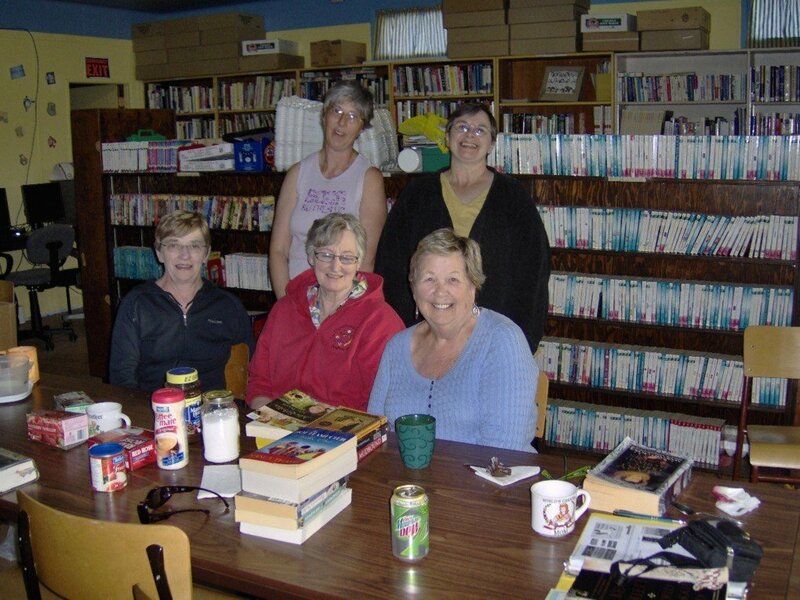 The Pangman Book Club was started in November of 2008 by a few ladies who love to read. We had our first meeting in November were we selected our first book club selection, Kitchen God’s Wife by Amy Tan. Currently we have eight members and we meet at the Library the 2nd Wednesday of the month at 7:00 p.m. After we discuss the book we have read, we have coffee, tea and goodies. Our last meeting was on October 14th were we discussed our September book club selection, A Lesson Before Dying by Ernest J. Gaines. We had a lively discussion about this book and almost everyone agreed that this was a very moving and sad story. If you have not read this book it is about Jefferson, a young black man who is convicted of murder and sentenced to death. His grandmother asks the school teacher, Grant to visit Jefferson at the prison to help him to become a man prior to his death. Grant struggles with this request, but he goes to the prison to visit Jefferson and over time he gets through to Jefferson. Our next meeting will be at the Library on Wednesday, November 11th at 7:00 p.m.
Pangman Rescue Truck with new Decals.